"Pracownia" is the tenth project of the collection "XII", designed entirely by Karina Wiciak. The restaurant is called "Pracownia" (which in Polish means "workshop"), because it was designed as a light pastiche of a painter's studio. 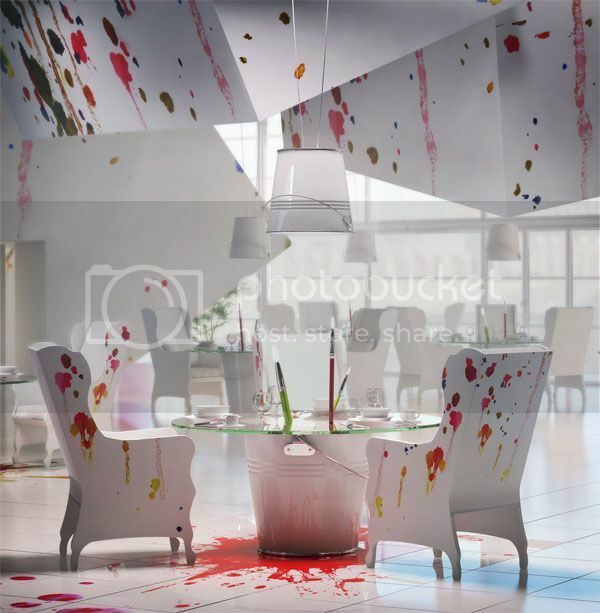 The most characteristic features of the interior are colourful blobs, because almost the entire interior of the "Papiernia" has been splashed with paint, from floor through furniture to the ceiling. 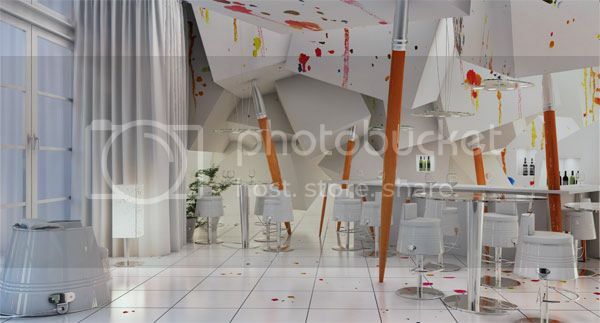 It was not designed to be youth interior in the pop-art style, but to be modern, elegant restaurant. 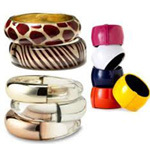 That is why, beyond the blots, the white and silver metal finish dominates. To the topic of painting studio, some other design elements have been matched. Structural columns resemble enlarged paint brushes. Glass, pendant lamps and table tops have a shape of palette. 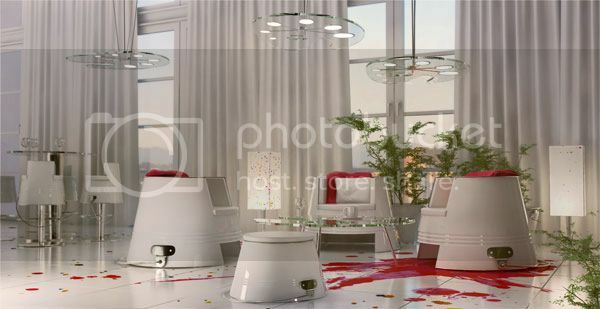 A bucket (of course a paint bucket) is present both in the design of tables, chairs and pendant lamps. Brush ends (sticking out of a bucket placed in the table) are used instead of the usual candles or table lamps. Since the whole interior is designed like a painter's studio, also the toilets cannot deviate from the topic. Therefore, the design of compact toilet bowl and sink also uses a form of bucket, and the counter top and mirror are mounted on a large easel.